The main entrance is to the right on the above photo and neither John nor I were able to fit the entire cathedral in one pic without walking quite a distance, so this one from our previous visit will have to do! 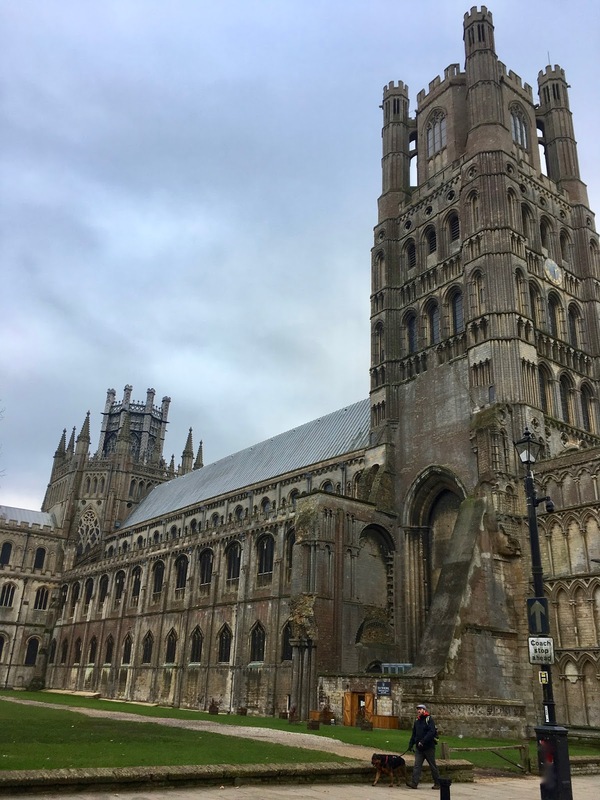 Unlike the warm, sunny May day we enjoyed in 2016, this time around it was overcast with a brisk wind that chilled to the bone. Still, the cathedral shone and beckoned us to explore further. 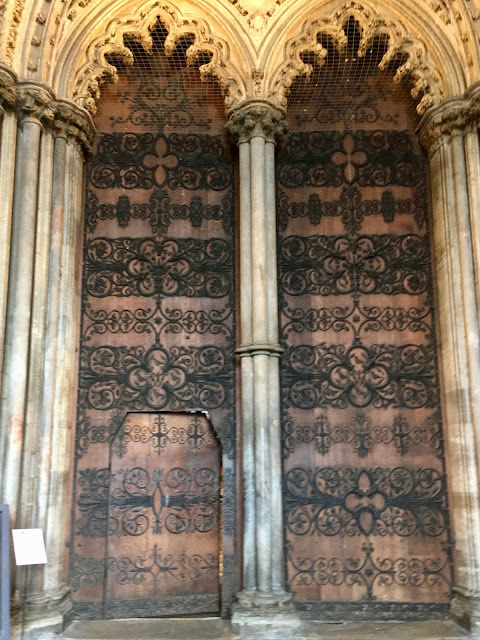 These massive, ornate doors cannot help but impress! 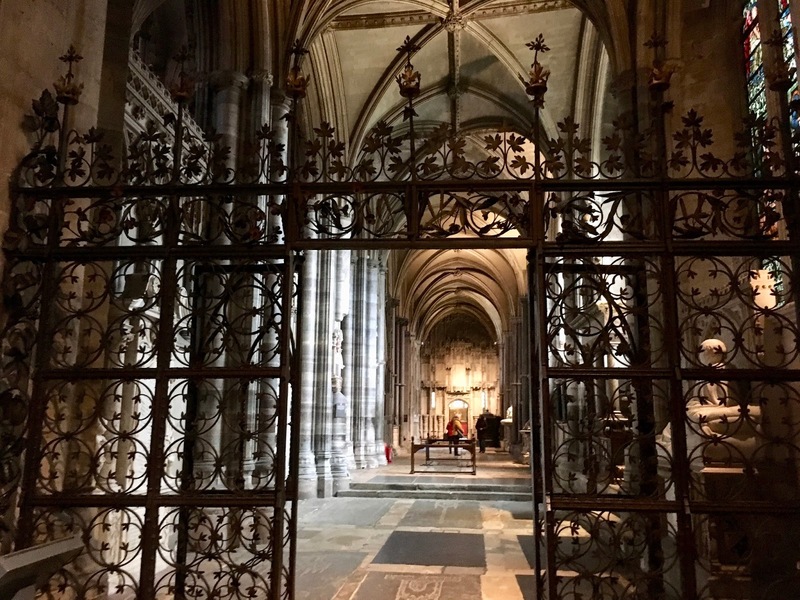 Below is the view from inside the cathedral looking back at the massive entrance doors. 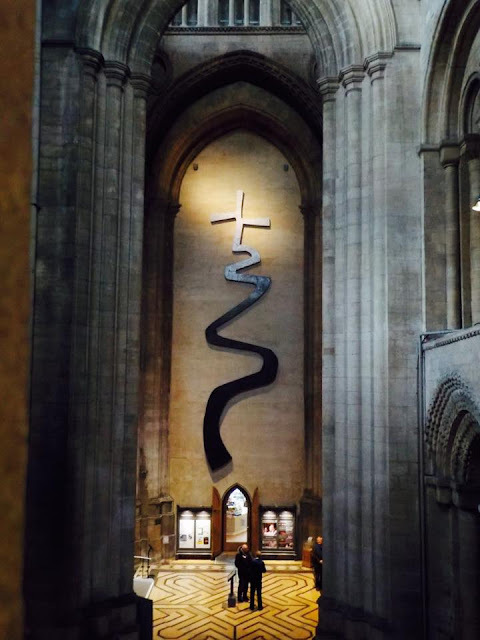 This modern cross depicting the spiritual journey is glorious in its design simplicity. 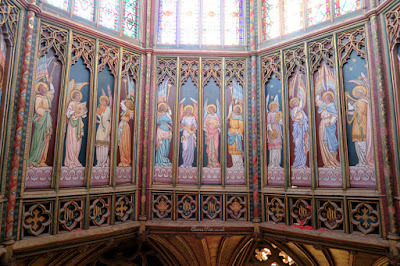 Much of the cathedral including the painted ceiling and marble floor was restored during the Victorian period. 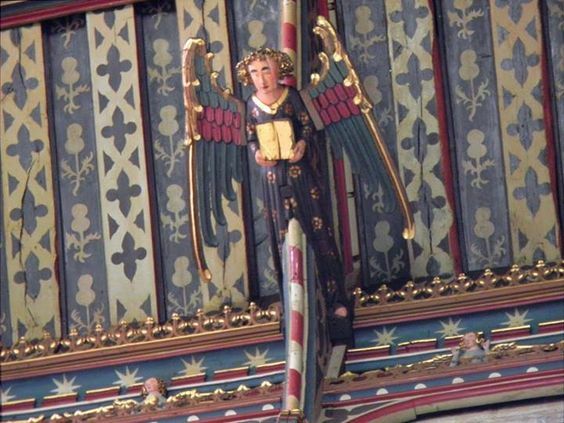 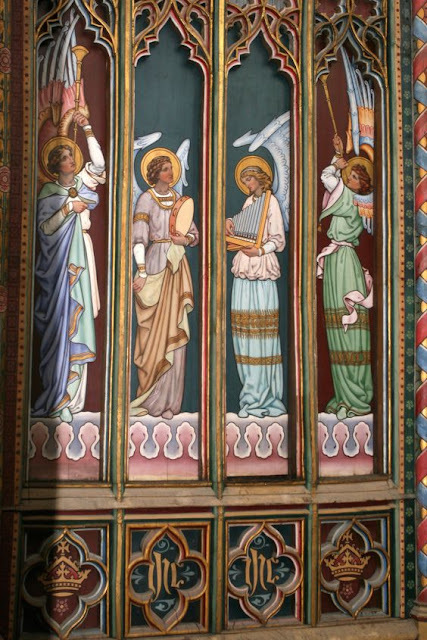 The ceiling below is wood and includes angel tresses that are customary in Norfolk churches. The octagonal tower is a somewhat recent addition as the original Norman central tower collapsed on February 22, 1322. 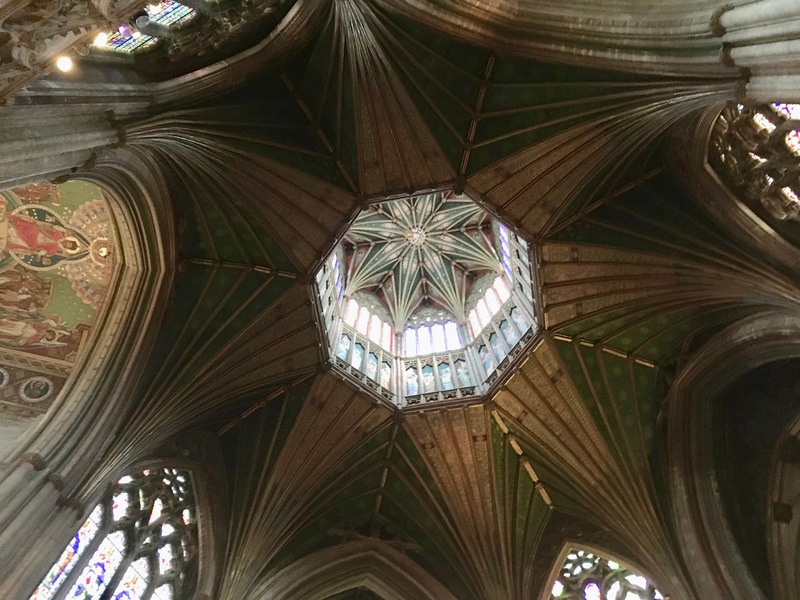 The octagon's height is 142 feet and weighs 400 tons. 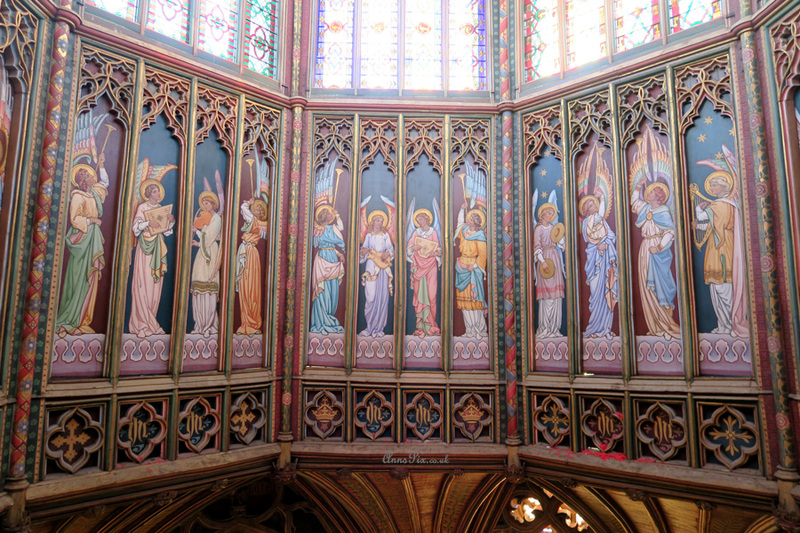 Just below the windows are Victorian panel paintings of angels. 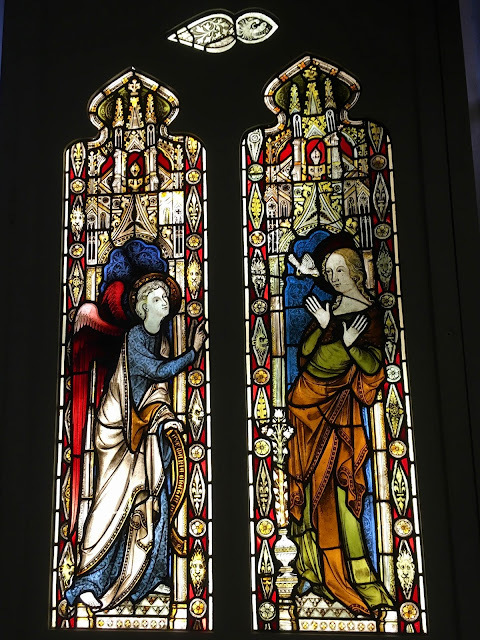 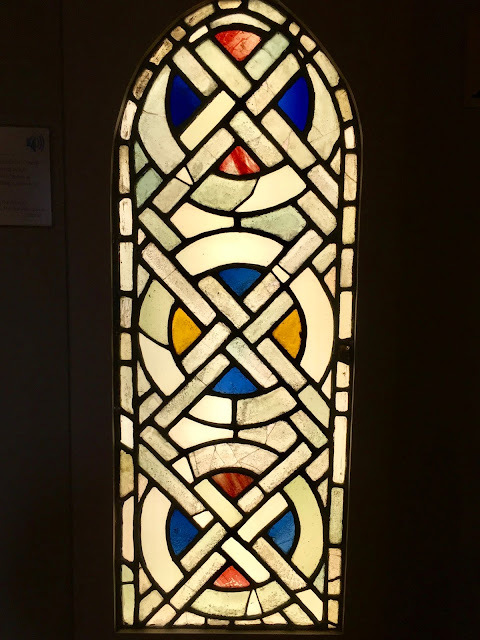 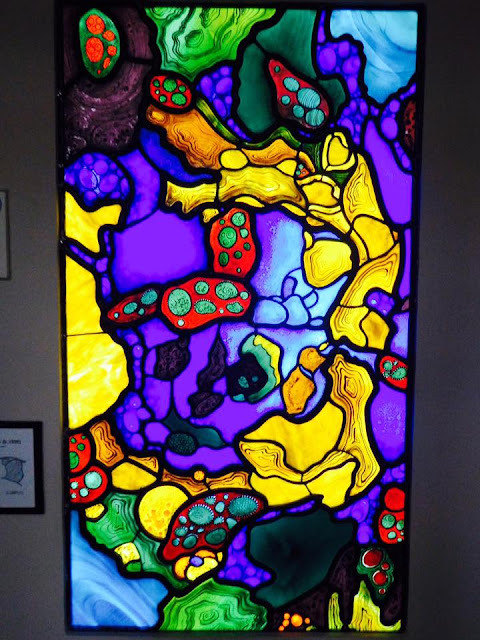 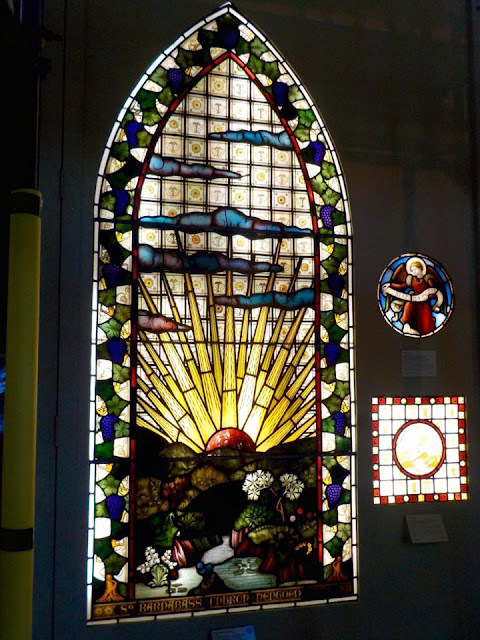 On our previous visit we did not tour the Stained Glass Museum and were eager to do so this time. 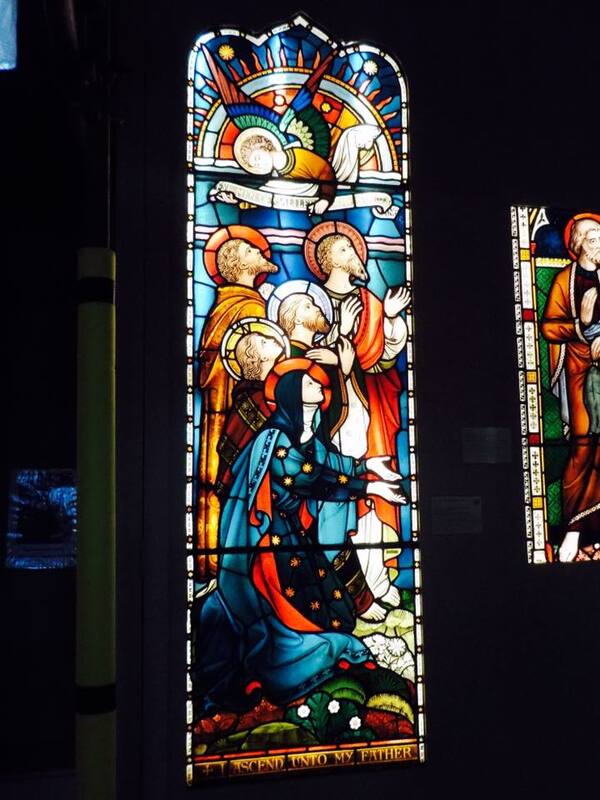 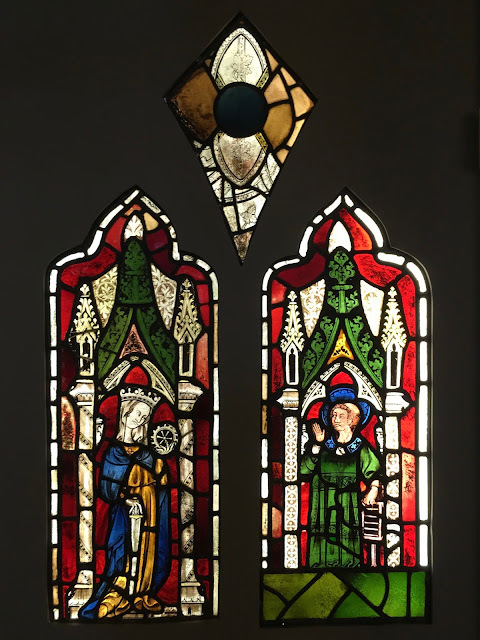 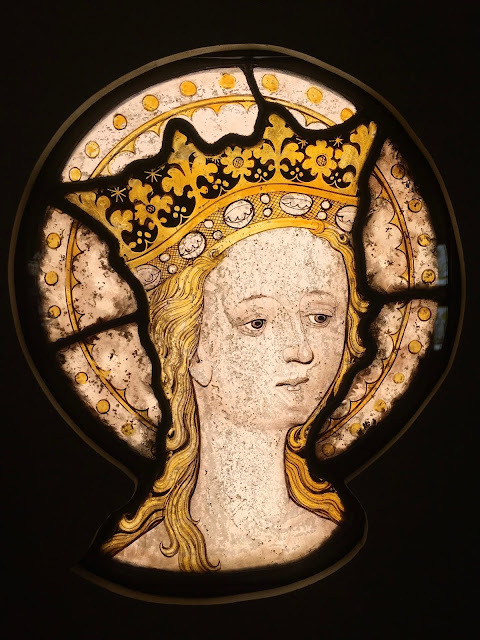 It features stained glass from the 13th century to present day. 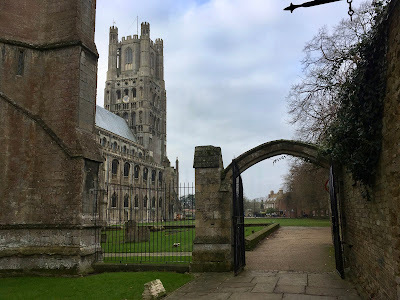 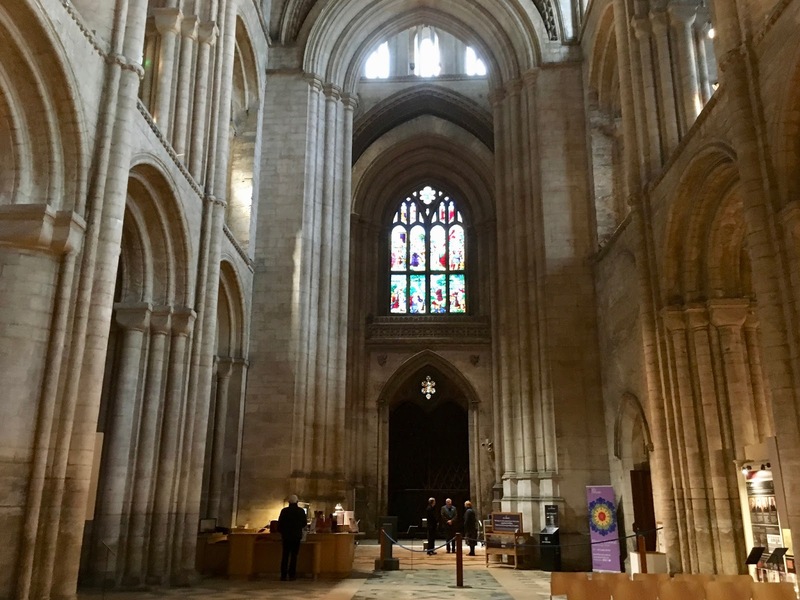 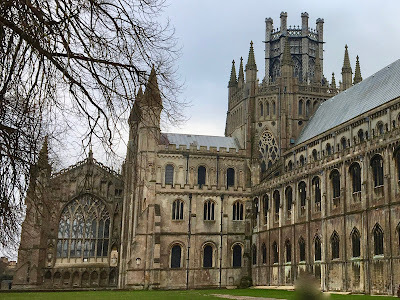 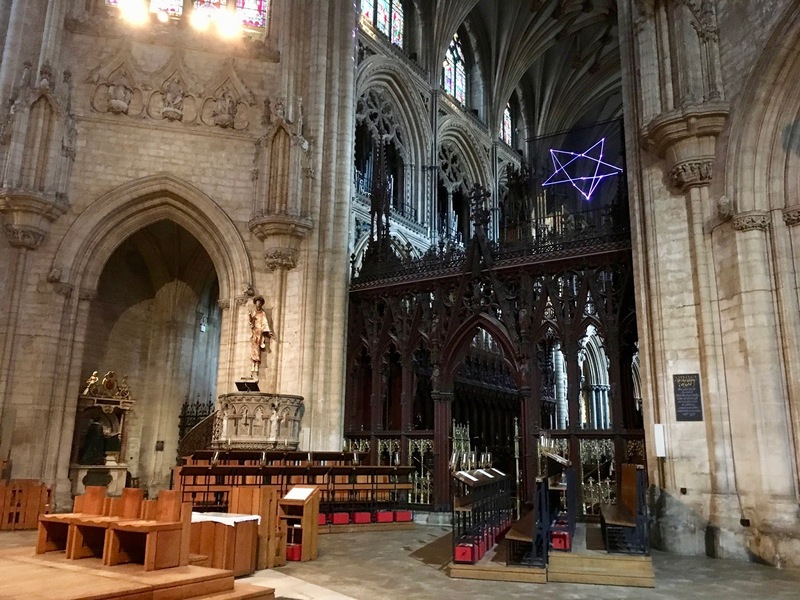 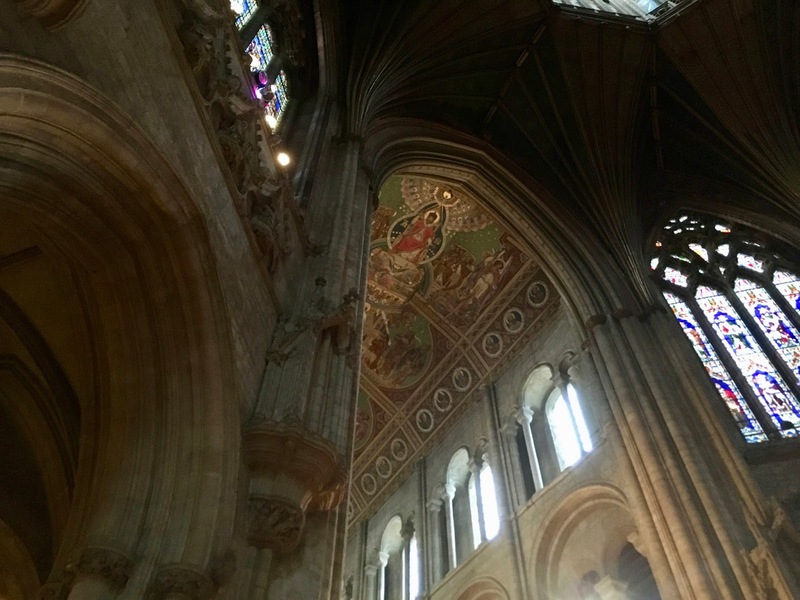 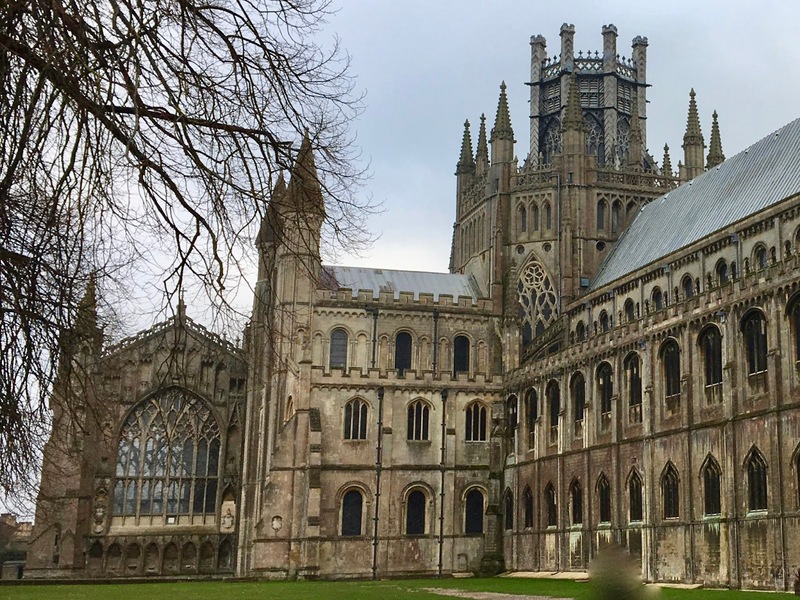 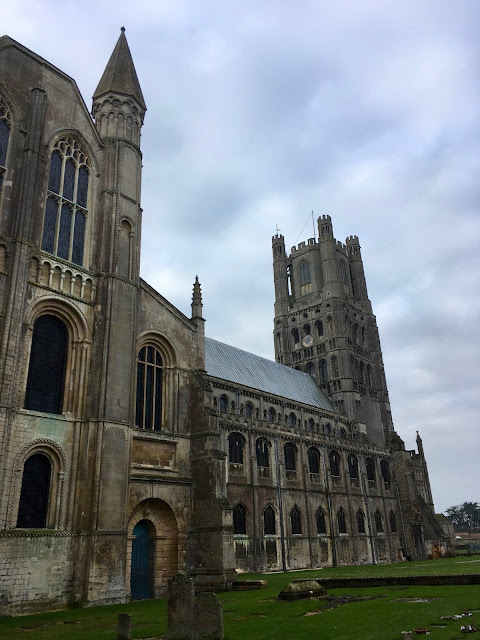 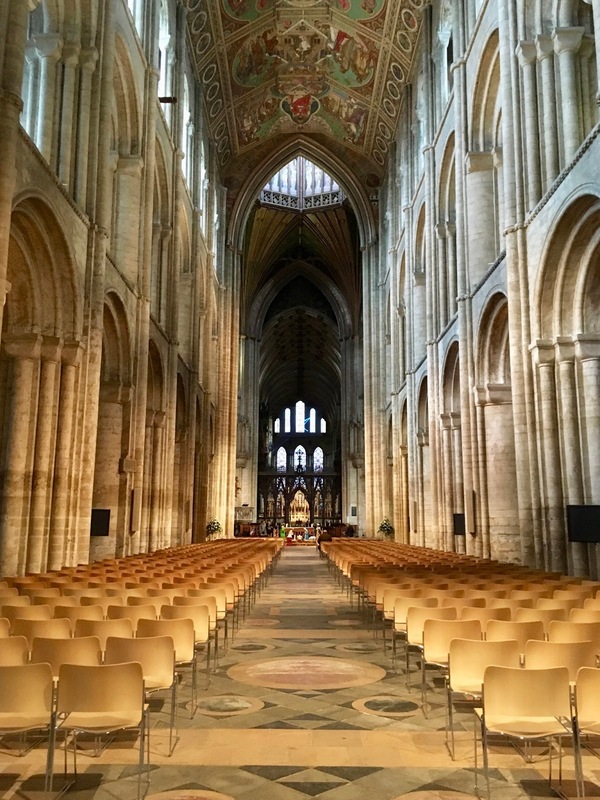 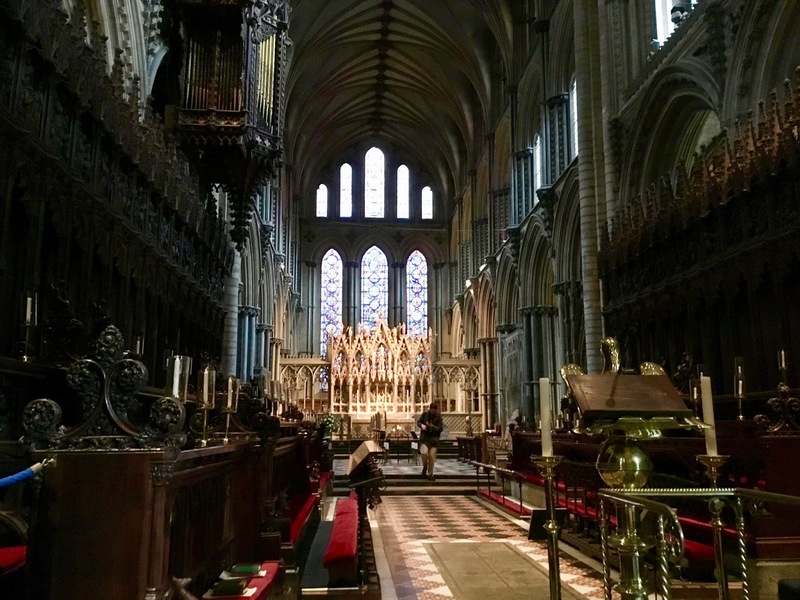 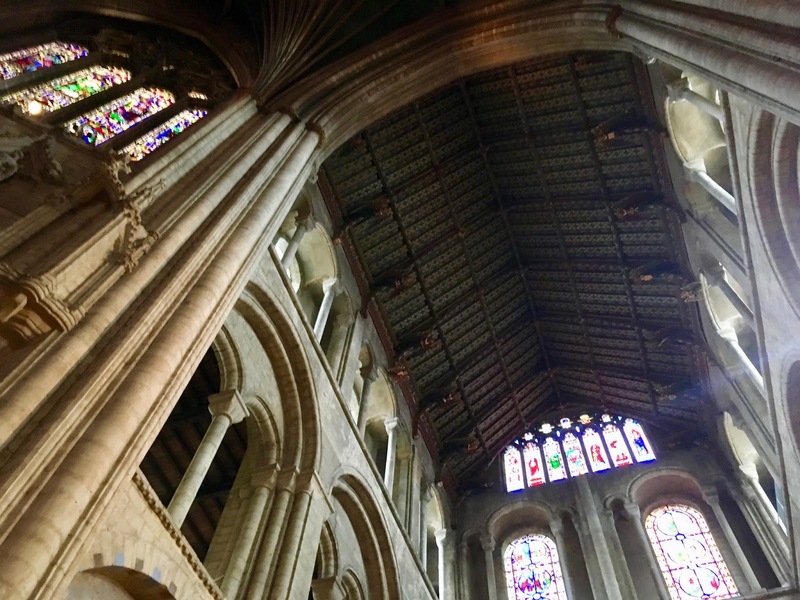 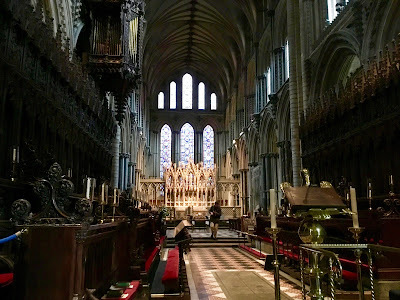 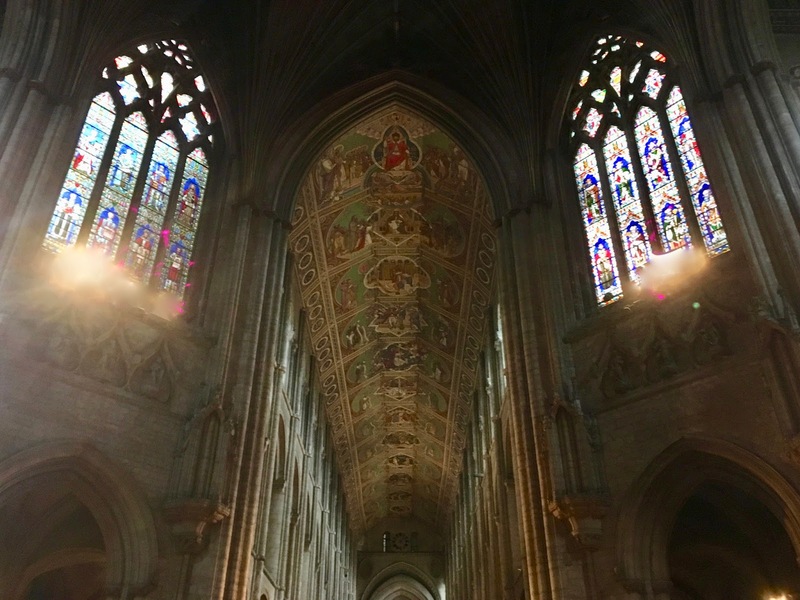 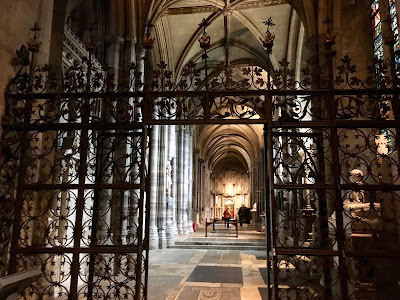 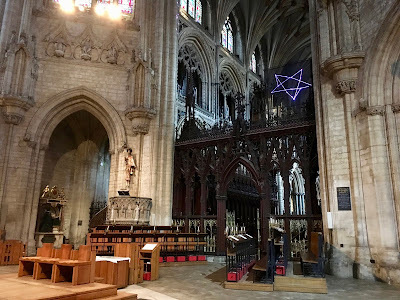 Ely Cathedral is a must-see if in the area and we're grateful to have had a second viewing.